JONATHAN PHILLIPS expects Sheffield Steelers' 2018-19 preparations to take a big leap forward this weekend when they open their pre-season schedule with a double-header against Sweden's Leksands IF at Ice Sheffield. 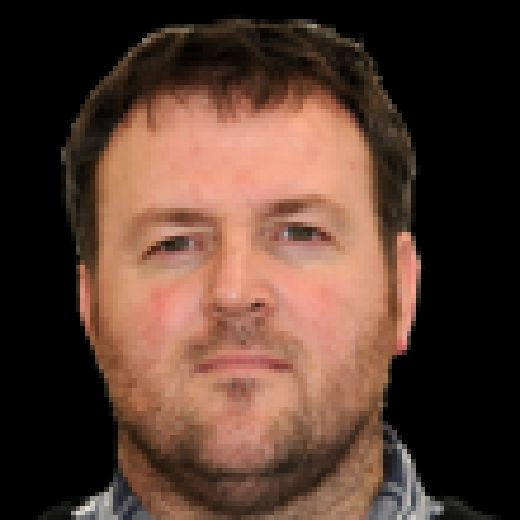 With only fourth-line centre Chris Lawrence still to arrive in the UK, Steelers' head coach Paul Thompson has spent the past week getting to know the good, the bad and, on the odd occasion, the ugly of his new charges having orchestrated a major overhaul of his roster during the summer. NEW HOPE: Sheffield Steelers' captain, Jonathan Phillips. Picture: Dean Woolley. Lawrence's belated arrival when it eventually comes - he is awaiting visa clearance back in North America - will take the number of new faces in the Steelers' line-up to 16, meaning the next three weeks will play a crucial part in the many new faces getting to know each other and develop the requisite 'chemistry' for a successful campaign. And Phillips, now preparing for his 13th season as a Steelers' forward - his 11th as captain - has already seen early signs of that crucial team togetherness developing. "This first week has gone really well - we’ve got a really hard-working group and we’ve been pushing the pace all week, on and off the ice," said Phillips. "It's been a lot of hard work and sweat, but a fun week. "It’s going to take a little while to find out what people like to do on the ice and to establish that chemistry between line mates, who likes playing with who and who is better suited with who, but it generally doesn’t take that long and I’m sure we’ll see that chemistry developing this weekend. FAMILIAR FACE: Former Steelers' favourite Ben O'Connor is back in Sheffield this weekend with new club Leksands IF. Picture: Dean Woolley. "These next few weeks is about getting our team ethos down and establishing our team identity. This is the perfect time to do that and establish how we are going to play as a team." 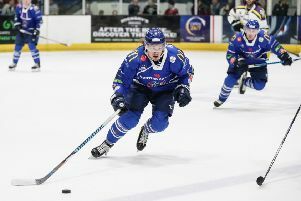 The two-game workout against their Sweden Allsvenskan visitors has been handed added interest as it will see a swift return to South Yorkshire for Phillips's former Steelers' team-mate, Ben O'Connor, the defenceman who made the switch to Leksands in the summer. Phillips believes his GB team-mate deserves a warm welcome from the home crowd after he spent almost four seasons in South Yorkshire, helping the club win two EIHL league titles and a play-off trophy. "It was sad to see him go but it was understandable that he wanted to make that move," added Phillips. "You have to do what you feel is right for your career and if you can climb the ladder in any walk of life, then you’ve got to go for it. "I hope Ben gets a warm welcome because he deserves it. He is one of the best players to play in this league. When you look at what he has done, he’s definitely brought success to Sheffield in the time that he was here and he’s always been fun to watch. He was a great team-mate." Any warm welcome for O'Connor from his former team-mates won't last too long, however, added Phillips, answering 'no' with a wry smile when asked if the hosts would in any way 'go easy' on their former colleague. As for O'Connor, he arrived back in Sheffield with his new team-mates on Thursday and reported that he was quickly adapting to his new surroundings, but admitted it was ironic that his first games in a Leksands shirt would be against his former club. "I could have gone anywhere in the world and the team I go to is coming back to Sheffield," laughed O'Connor. "It’s pretty ironic, but it will be good fun playing in front of the Steelers fans again and maybe be something of a final farewell. "I’m excited to play for my new team and that will be my first game for them, so, hopefully, we can come out on top.